Summer just isn’t complete without grilling! 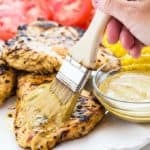 Today I’m sharing one of my favorite grilled chicken recipes: Spicy Mustard Marinated Grilled Chicken. This right here is what I love about summertime. Grilling out and eating fresh garden vegetables. There’s just something about smelling delicious food grilling on a warm summer evening… it’s my favorite time of the year! 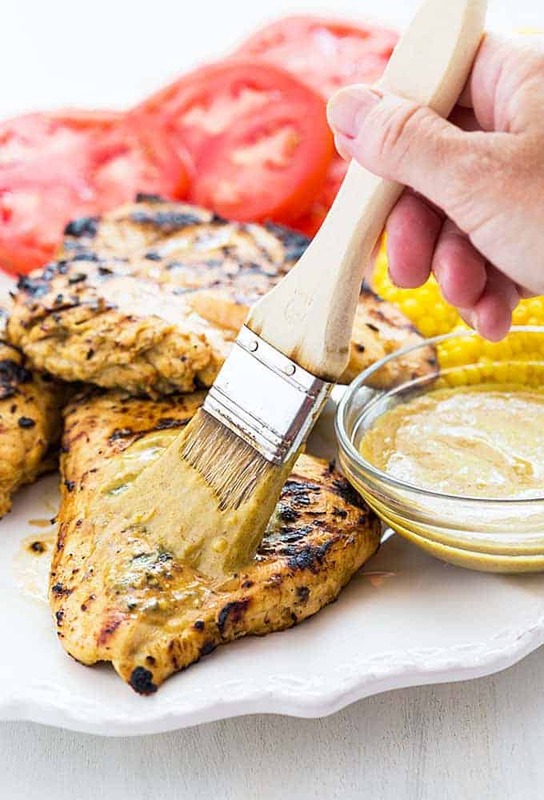 French’s® Spicy Brown Mustard, olive oil, soy sauce, honey and garlic come together to create an intensely bold and flavorful marinade. I reserve 1/4 cup for brushing on as a glaze afterwards. 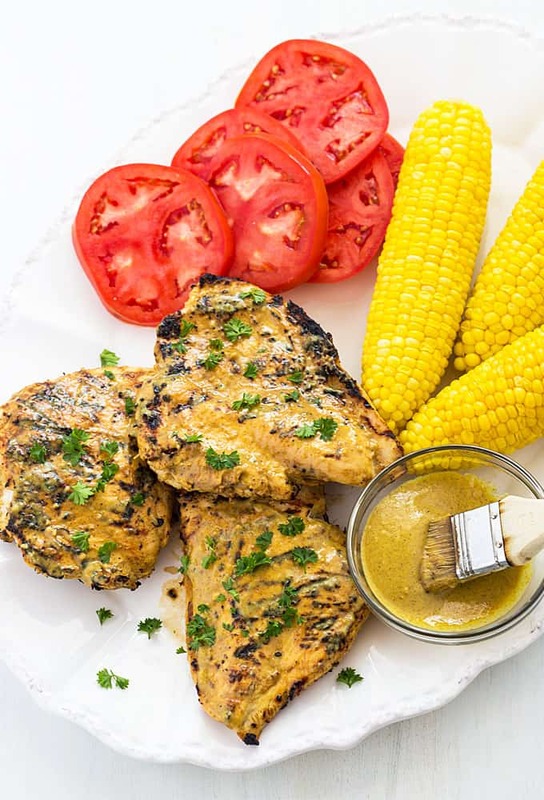 Although French’s is known for its iconic Classic Yellow Mustard, I love the bold flavor of the Spicy Brown mustard used in this marinade… it takes ordinary chicken breasts to a whole new level! 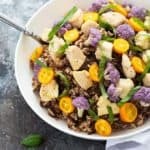 There’s also a smooth and creamy Dijon mustard I enjoy as well. 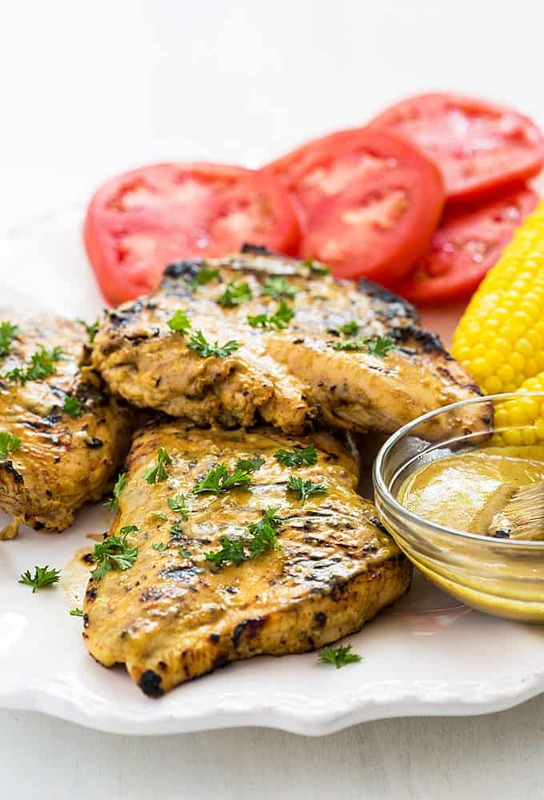 Whether you use mustard to top hot dogs and hamburgers, to create your own healthy salad dressings or is the secret ingredient to your favorite marinade, French’s mustard is a must-have for grilling out this summer. Be sure to follow French’s for more recipe inspiration on Instagram and Facebook! Whisk together mustard, olive oil, soy sauce, honey and garlic in a small bowl. Reserve 1/4 cup of the marinade. Set aside. Place chicken breasts between 2 pieces of plastic wrap or wax paper. Using the flat side of a meat mallet, pound until breasts are evenly 1/2-inch thick. 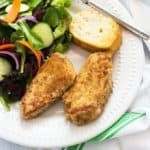 Place chicken breasts in a resealable 1 gallon bag and pour marinade over chicken. Seal bag and gently shake to evenly coat chicken. 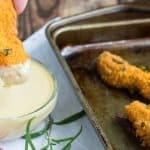 Refrigerate for up to 4 hours. 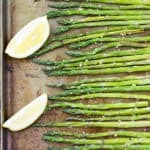 Brush olive oil or vegetable oil on your grill grates and preheat your grill on medium-high heat. Grill (covered) for 6-7 minutes on each side, or until juices run clear. Place chicken on a plate and brush with reserved marinade. 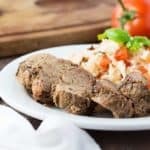 Cover with aluminum foil for 5-7 minutes and serve warm. According to Foodsafety.gov, the safe minimum temperature for chicken is 165 degrees F. I take my chicken off of the grill at about 150-155 degrees F, cover and allow chicken to continue to cook during a 5-7 minute rest time. 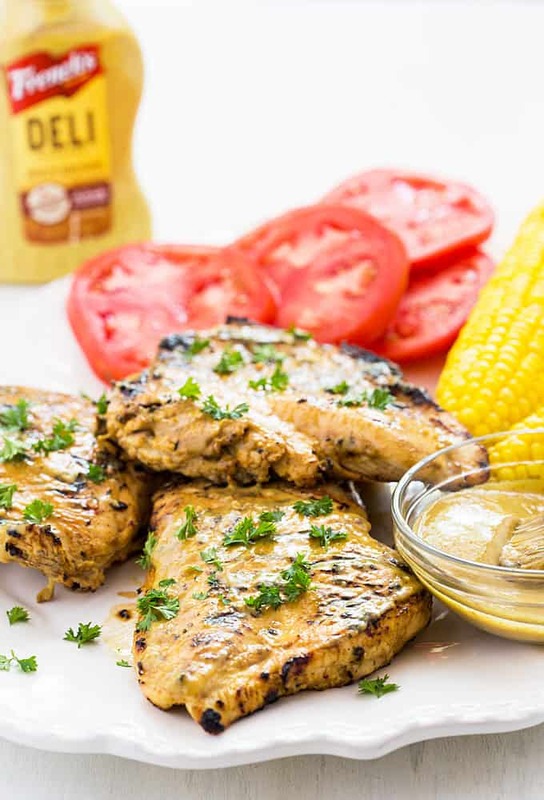 Click to PIN to your grilling board!